Get ready for a night of pure talent from up and coming music and dance students at the exciting Show Stoppers 2016 Charity Show night. 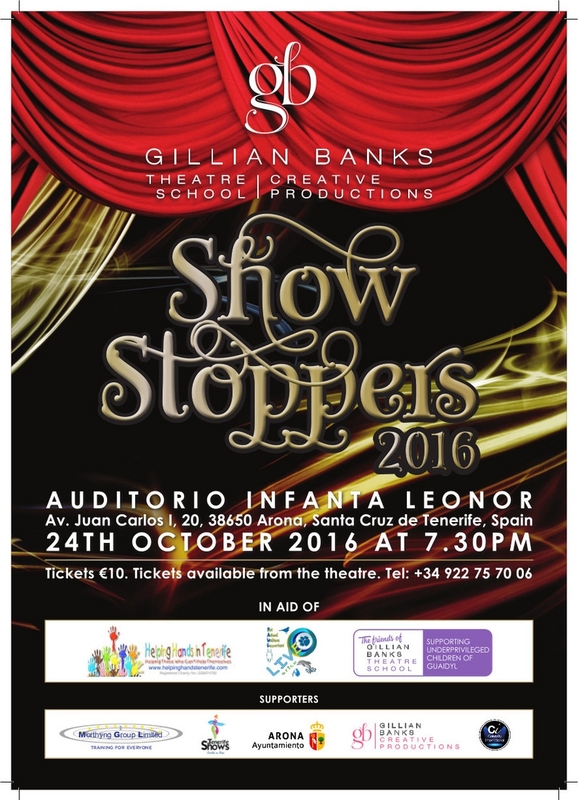 The town hall of Arona has announced the big night on Monday 24th October when the students of Gillian Banks Theatre School in the UK will be here to strut their stuff in aid of Helping Hands children's charity and Live Arico Animal Rescue. Tickets cost 10 Euros each and can be bought online, at the Cultural Centre in Los Cristianos on Monday to Friday, 9am to 2pm, or two hours before the performance at the auditorium itself.